This Collection Reflects The Romance Of Old World Europe. Finished In Weathered Bronze, This Series Features Graceful Wrought Iron Metalwork, Candlestick Styled Bobeches, And A Twisted Center Column. Polished brass glimmers though clear acrylic casting brilliant illumination. Includes 6 feet of chain for height adjustments. Fixture attaches to matching decorative ceiling plate and is suitable for vaulted ceilings. The Santana linear chandelier is made up of clustered antique brass tubes that suspend under the canopy at different lengths. The LED light emanates from within the tubes for subtle yet lovely light. The Santana Collection is fairly simple yet eye-catching, guaranteed to get turn heads. This contemporary sophisticated chandelier is definitely a conversation starter. 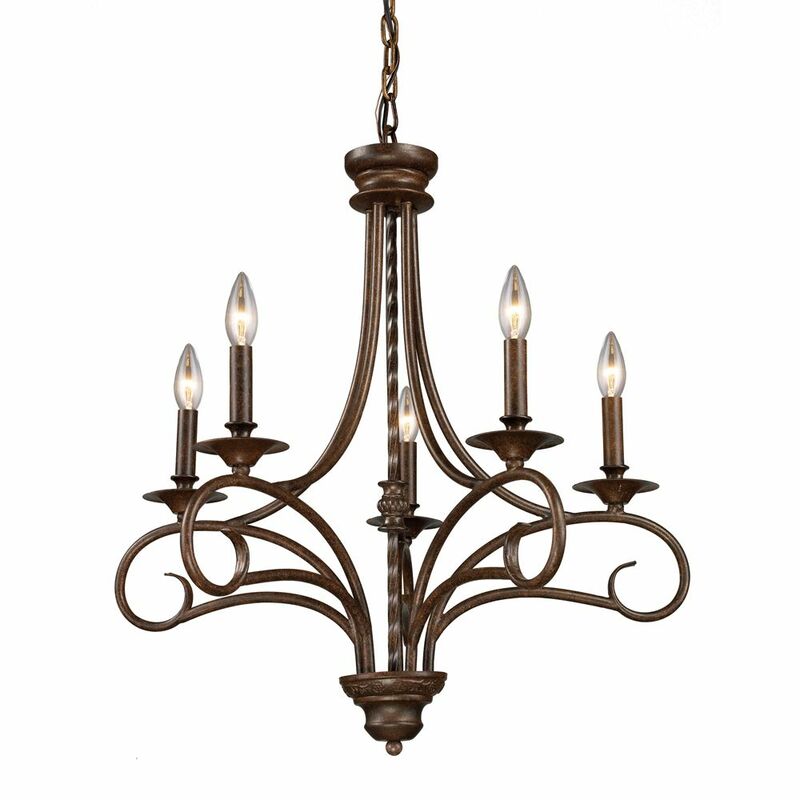 5-Light Ceiling Mount Chandelier in Antique Brass This Collection Reflects The Romance Of Old World Europe. Finished In Weathered Bronze, This Series Features Graceful Wrought Iron Metalwork, Candlestick Styled Bobeches, And A Twisted Center Column. 5-Light Ceiling Mount Chandelier in Antique Brass is rated 4.0 out of 5 by 1. Rated 4 out of 5 by Katherine from Very nice. Very nice.